Kangana Ranaut's ongoing war of words with Aditya Pancholi doesn't seem to calm down. The controversy which began after the Queen actress made an explosive interview about being abused by Aditya. Soon the Pancholi family were bombarded with questions about Kangana and Aditya's relationship. 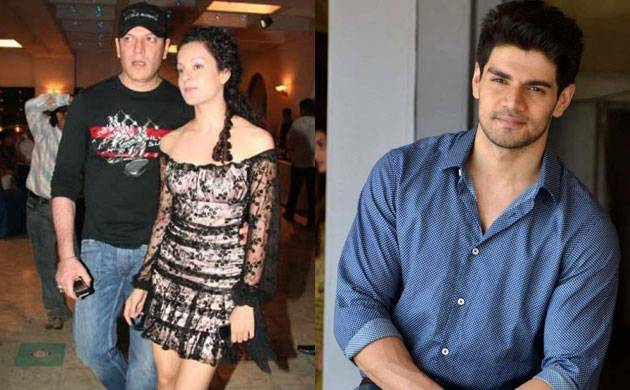 While Aditya and Zarina did broke their silence, son Sooraj Pancholi deleted his Twitter account following the controversy. Sooraj, 25, was bogged down by the ongoing controversy and decided to steer clear of "all the mess". Before quitting Twitter, Sooraj requested people to keep him and his sister, Sana Pancholi out of the entire row. "It is my humble request to all the media platforms out there! To please keep my sister and me out of the current situation... I have nothing against anyone and I would like to keep away from the mess... It's something that I have been trying to avoid for years. "And I think it's really not right for anyone to tag my sister or me in every single article about it," he wrote. Kangana has often talked about her tumultuous relationship with Aditya, alleging he physically abused the actor during her initial days in the industry. Kangana also said she was a year younger to Sana. Aditya blasted the actor, calling a her "mad girl". He also posted pictures of his daughter's Aadhar card and Kangana's passport to prove the actor was lying. Kangana and Aditya's alleged relationship dates back to when she had arrived in Mumbai. It was around the release of her first film, "Gangster" (2006) when the rumours of her dating him started doing the rounds.